Kilkenny senior camogie manager Ann Downey and Margaret Swords, CEO, Aut Even Hospital, associate sponsors, along with model and wellness speaker Alison Canavan will be at the start line of the Great Pink Run with Avonmore Slimline Milk in Kilkenny Castle Park this Sunday, 14th October. More than 2,000 people have already registered for this event now in its second year in Kilkenny. 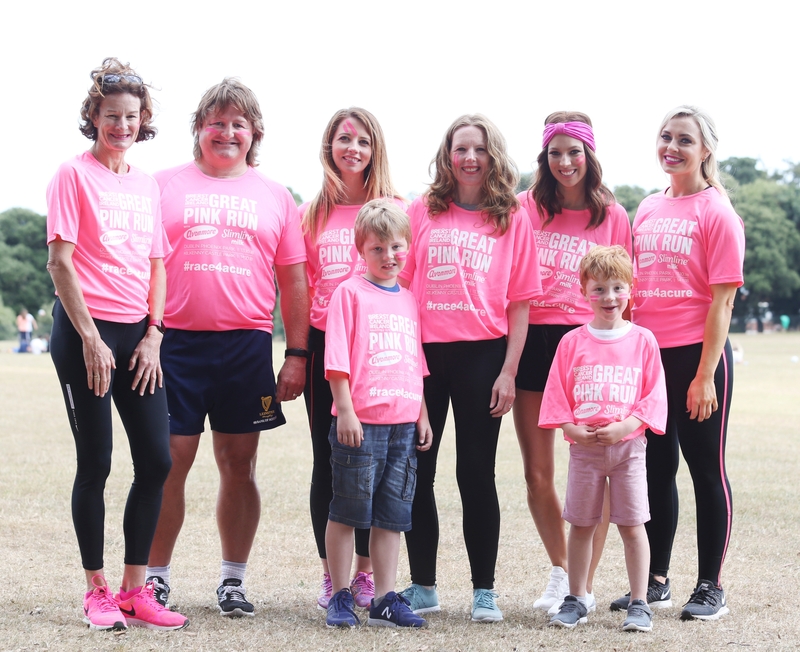 It is expected that over 8,000 people will take part over the two days by running, jogging or walking the 10K challenge or the 5K fun run to support Breast Cancer Ireland’s research and awareness efforts around the country. 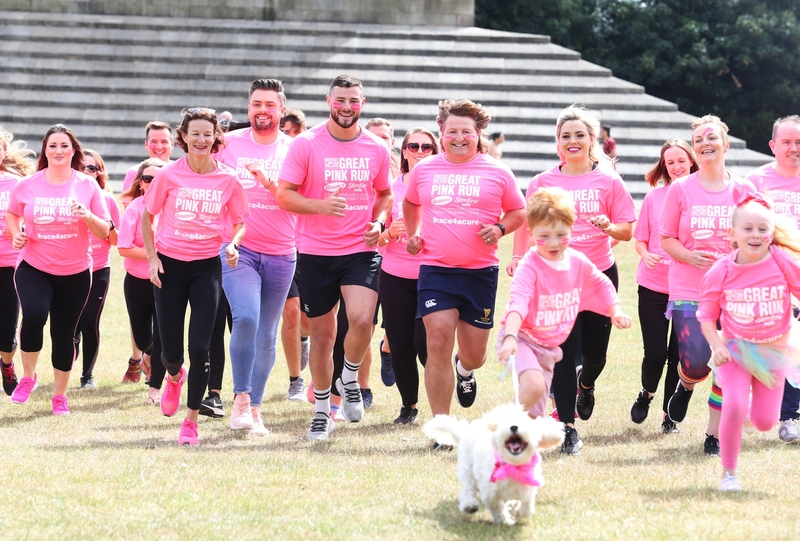 Kilkenny was the first location outside Dublin for the Great Pink Run - click here to have a look back at the photographs from last year! Below: At the launch of this year's Great Pink Run sporting legend and Great Pink Run Patron, Sonia O’Sullivan; former Irish international player and rugby pundit Shane Byrne; Marketing & Communications Manager, Aut Even Hospital, Debbie Woodcock; Director of Clinical Services (Nursing), Aut Even Hospital, Kilkenny, Ann Marie Garbut; breast cancer survivor Georgie Crawford; and camogie player and TV personality Anna Geary with Harry Garbutt (7) and Sam Woodcock (6) from Kilkenny.